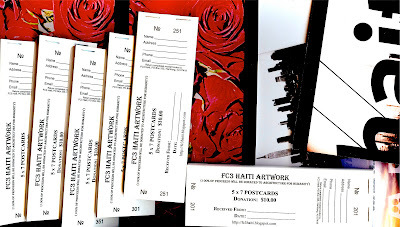 Each business has an assortment of 50 – 5×7 PhotoGraphic Prints, which they will collect $10.00/ea. for a total of $500.00 – 100% of the proceeds will be sent to Architecture for Humanity. To learn more about this 501(c) (3) please click here. Each 50 pack is shrink wrapped and comes with a coupon book. A PDF thank you letter of acknowledgement will follow by email for your records. If you would like to help get the word out about what we are doing and help us raise more money for this important cause, please contact me. Special thanks to AlphaGraphics of Wayne-Totowa as well for donating the prints so that 100% of the funds raise go directly to Architecture for Humanity, 501(c) non-profit organization which is helping bring Architects and Builders together to redesign and rebuild Haiti. For more specific info about this charity please click here. If you have any questions or suggestions regarding this effort or would like to get involved to help our cause please contact me via text, email, or phone. Michael Riscica’s blog aims to teach and help other Young Architects be more successful in their personal, academic and professional careers. He does that by sharing in full disclosure what I did to become a Licensed Architect with the many successes and failures along the way. A site for Architects about running a better business. Death By Architecture (DBA) began in 1995 as the personal web page of Mario Cipresso, an undergraduate architecture student at the University of Illinois at Chicago. By 1997 Death By Architecture had become the preeminent site for architecture competition information on the internet. At EntreArchitect, our mission is simple: To help you build a better business, so you can be a better architect. A better business starts with planning for profit. A Blog about being or working with Architects. Green Roofs for Florida & the Arid, Dry Climates. Green Roof Plants and Green Roof System Design for dry, hot, humid and windy ecosystems. MetroVerde Permaculture Green Roofs – Green Roofs Grow Food, Clean Stormwater, Create Habitat and Reduce Carbon Footprint. An interactive website by a friend and Architectural colleague, William J. Martin, AIA. A robust gateway to up-to-date information on integrated ‘whole building’ design techniques and technologies. The WBDG is the only web-based portal providing government and industry practitioners with one-stop access to up-to-date information on a wide range of building-related guidance, criteria and technology from a ‘whole buildings’ perspective. Currently organized into three major categories—Design Guidance, Project Management and Operations & Maintenance—at the heart of the WBDG are Resource Pages, reductive summaries on particular topics. A residential cost estimator tool by my friend and Architectural colleague, William J. Martin, AIA. Thank you for all the support and encouragement over the years. The following are some of our favorite interviews we have had over the past several years. Hope you enjoy reading about the lives of Architects and how they decided to become architects and what keeps them inspired today!